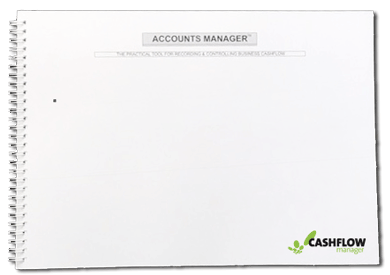 ‘Accounts Manager’ is the original paper-based recordkeeping system for folks who are still doing their books manually. It’s easy instructions and schedules make it easy to use, while tracking the information you need to manage your business and prepare your taxes. ‘Accounts Manager’ is £27 + VAT (£32.40 including VAT) and this also includes shipping and handling.